Summer dressing making you sweat? Don’t worry! We’ve got all the essentials to keep you feeling your best all summer long. Whether you’re hustling through your commute, strolling around town, hanging at home...you name it. Check out our fave pieces for easy summer dressing! Mother Earth knows what’s up. Take a hint from inspired neutral palettes like whites, tans and cargos for a very laid-back style. 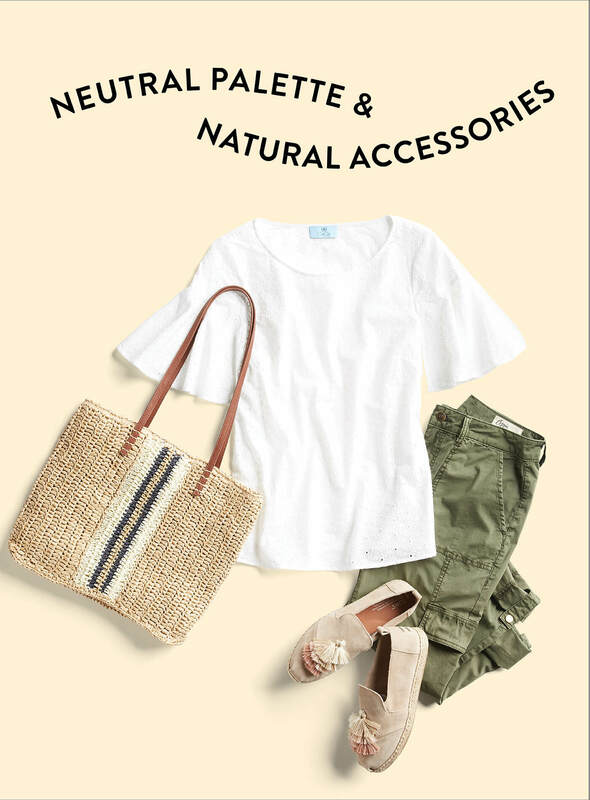 Accessorize with natural fibers (like a woven tote or canvas slip-ons) to top a look that literally begs you to go to the beach. Need a look that’s a little more formal? Look no further than a wrap top! Paired with some white denim and opened-toed heels, you’ll be serving chic looks that feel as crisp a cold drink. Stylist Tip: Wrap tops are pretty universally flattering on every body type. With a cinched & pretty tie, it essentially does the hard work while you focus on keeping your cool. A classic. 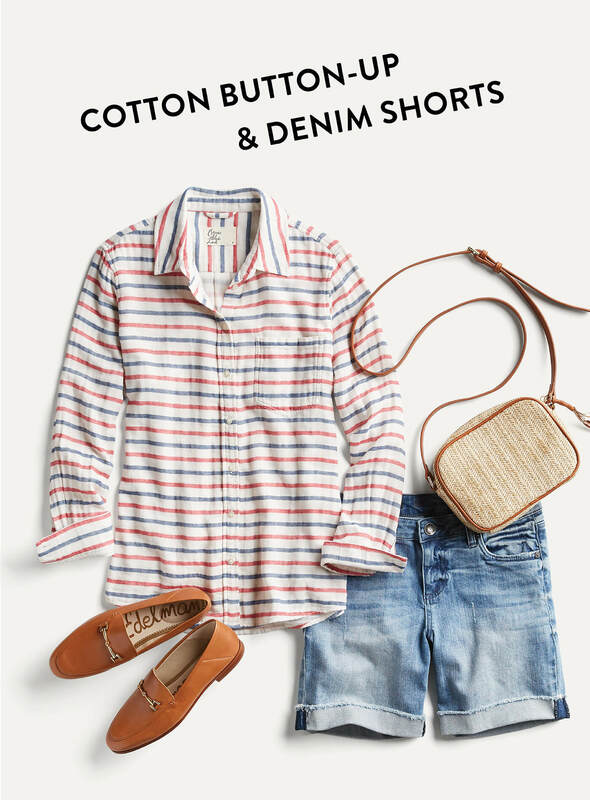 Tried and true, the (preppy and pretty) denim shorts and a button-up shirt are perfect for pretty much any casual summer occasion. Whether you’re headed to the beach, going to a cookout, running errands or relaxing. Opt for a light cotton fabrics or soft linens for ultimate breathability, in staple summer prints: stripes! Probably the easiest outfit for summer: a dress! Especially one with a flowy silhouette (hello, breeze!) 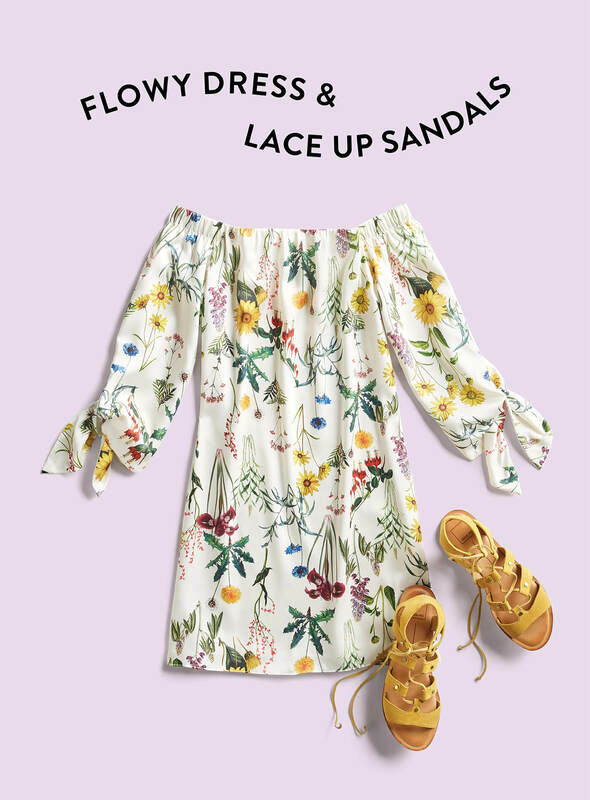 Slip into a pair of lace up sandals for a pretty and polished summer look—bonus points of your sandals match into your dress pattern. 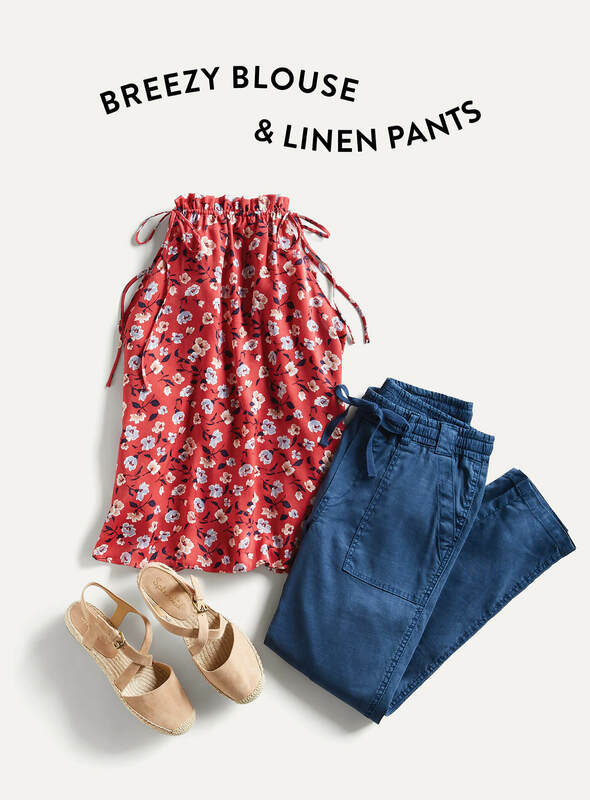 Ready for some easy summer outfits? Let one of our Stylists know how you’re keeping it easy this summer!